After more than six month in preparation, Nunu Fine Art is proud to present its opening exhibition at its brand new space. 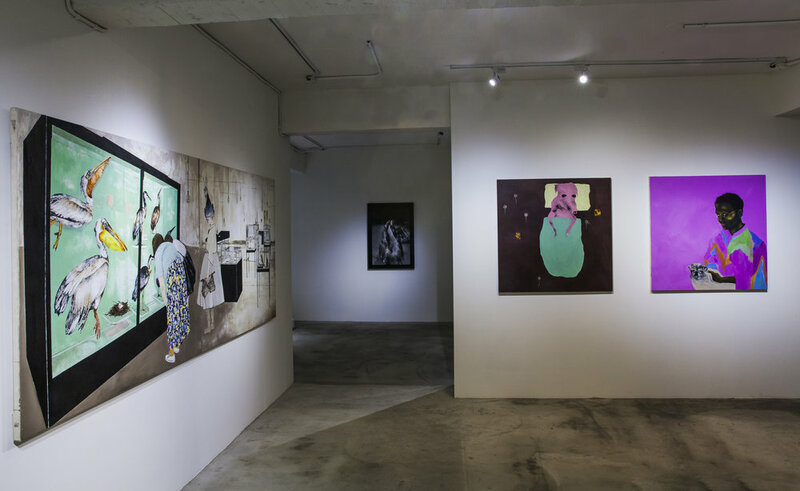 【30 x 2 / 40 x 2 : Holy and Profane】 is a joint exhibition of six brilliant artists from London, New York, Taipei, Reykjavik and Manila, respectively in their 30s, 40s, 60, and 80s. In their works, they reveal to the audience their commanding ability as humans, moreover as women, to unflinchingly and powerfully express their raw emotions, thoughts, desires and doubts through the creative process. 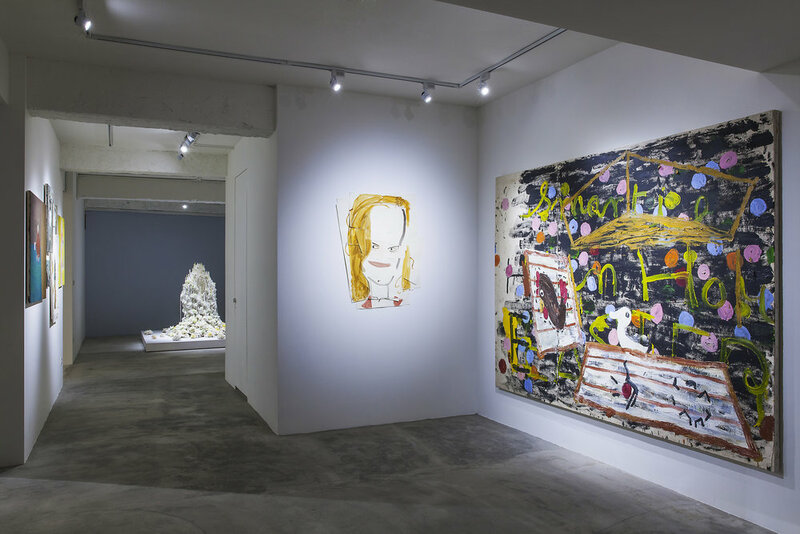 Among the showing artists is Rose Wylie, often referred to as Britain’s oldest emerging artist. She will be showing her “Smartie Hen House”, part of the Tate’s collection, as well as her most recent works on paper, created at the age of 80. 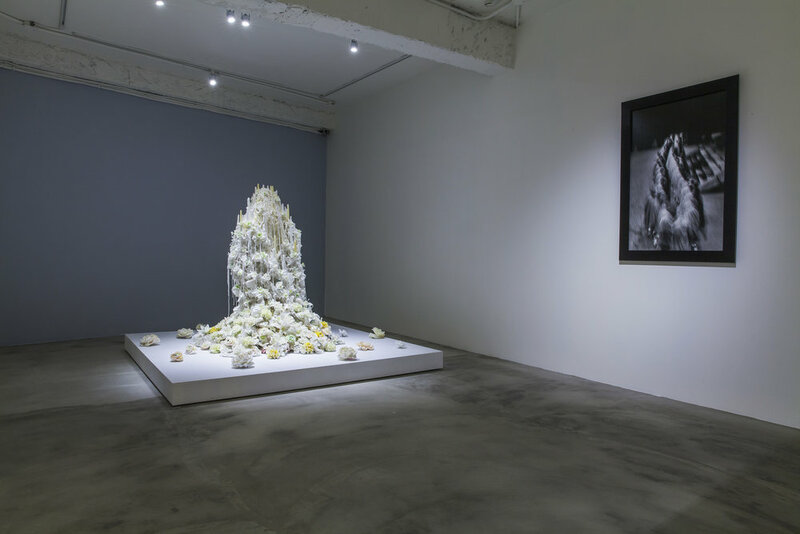 Petah Coyne, highly recognized and collected by the MET, MoMA and the Guggenheim Museum, will be showing her “Buddha Boy” in Asia for the first time. Apart from her highly acclaimed sculptural work, Coyne will also be showing, from her own collection, the only copy in existence of her 1997 photographic work “Tear Drop Monks, Monk Series” in this exhibition. Representing Manila, the leading market of South East Asian contemporary art, is Pam Santos. Her works have been flying off the shelves for the past decade, yet her quiet nature permits her to be mother of three boys at the same time. It is also this finesse in her character that gives her focus and allows her to continuously produce compassionate work. The 30s tend to be the most delectable years of our lives. With the haste and wants of the 20s behind us, we sure-footedly progress towards the 40s. 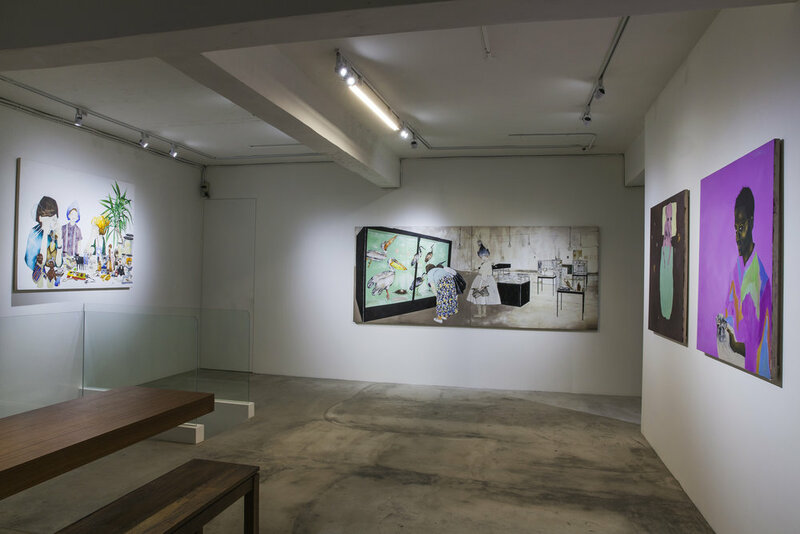 Taiwanese artist En-Tzu Chang, British artist Maya Hawitt and Icelanding artist Thordis Adelsteinsdottir are all relishing this stage of life. Their works either seem outlandish or surreal, depicting personal desires or borrow from the imagination of others. Whichever is true, what is left on the canvas is but the ruminant image of the viewer. 【30 x 2 / 40 x 2 : Holy and Profane】 opens at 2 pm on 1 June with artist talk, please come and join us.